The Squire Munro Project is a genealogical endeavor to research the life, ancestors and descendants of Squire Munro. Munro reunion accounts from 1876-1986 from newspapers. 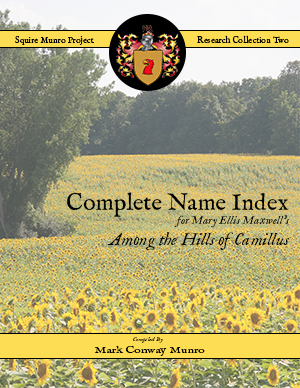 A complete name index for “Among the Hills of Camillus” (1952). 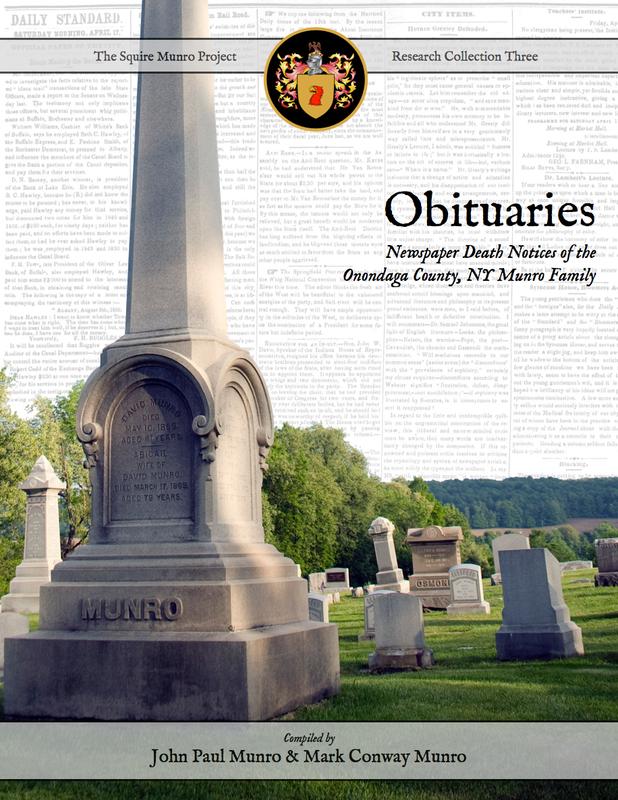 This book will contain transcribed obituaries from newspapers. 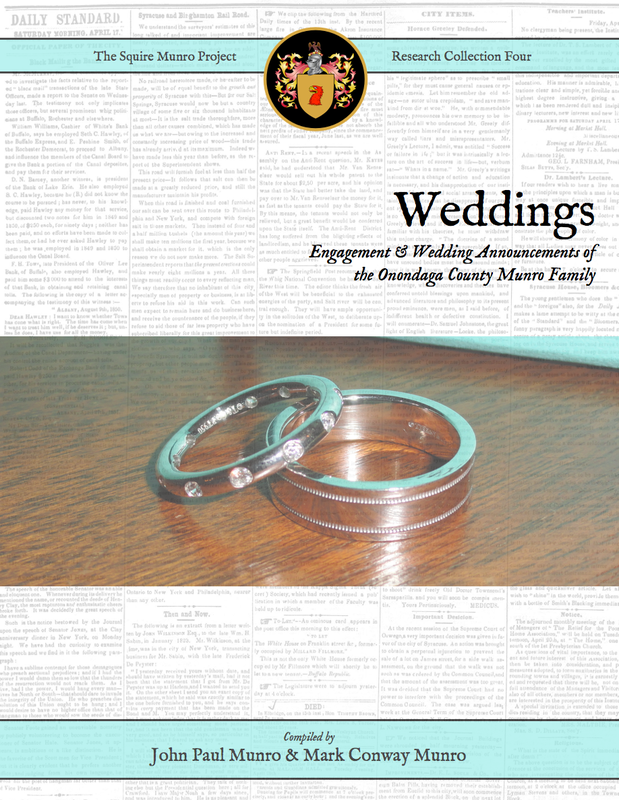 This book will contain transcribed marriage newspaper articles. Daniel C. Munro Repair in Progress!